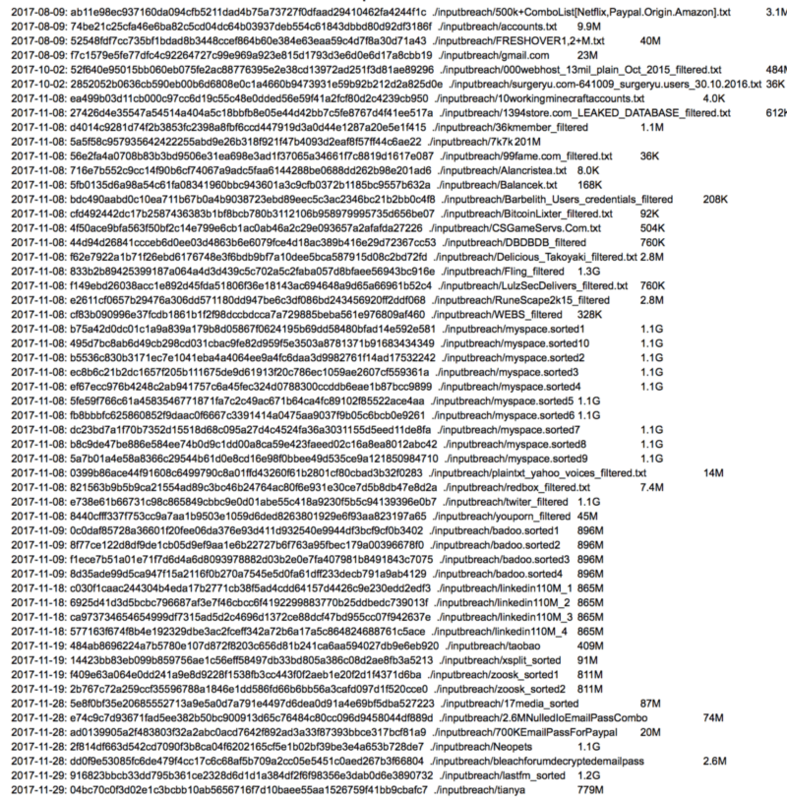 Another monster data dump was found online, the huge archive contains over 1.4 billion email addresses, passwords, and other credentials in clear text. The huge trove of data, a 41-gigabyte archive, has been found online on December 5 by security shop @4iQ. According to 4iQ founder and chief technology officer Julio Casal, the archive is the largest ever aggregation of various leaks found in the dark web to date. “While scanning the deep and dark web for stolen, leaked or lost data, 4iQdiscovered a single file with a database of 1.4 billion clear text credentials — the largest aggregate database found in the dark web to date.” reads a post published by 4iQ on Medium. The 41-gigabyte file had been updated at the end of November, it aggregates data from a collection of 252 previous data breaches and credential lists. It is still unclear who collected this data, the unique information we have at this time is the Bitcoin and Dogecoin wallet details left for donations. Collector organized and indexed data alphabetically, the total amount of credentials is 1,400,553,869. Digging the archive, it is possible to verify that users continue to use weak passwords, the top password is still 123456, followed by 123456789, qwerty, password and 111111. Not only … the expert observed that users tend to reuse the same passwords for multiple online services. The researchers highlighted that 14% of exposed credentials are new and in clear text. As usual, let me suggest avoiding password reuse on multiple sites and of course use strong passwords.